One often hears psychologists and others referring to the child/adult as having ‘dyslexic tendencies’. What does this mean and how can we keep an eye on or manage this learning need? Dyslexia, along with many other specific learning needs, is not a one size fits all (spectrum). It can vary greatly from those that struggle with B’s and D’s, to those that have letter reversals and the sounds that we hear from letters or groups of letters (phonemes, graphemes). It is thought that early learning helps to avoid dyslexia. It will give you some indicators that children are not hitting spelling and reading milestones, however it’s through a multi-sensory learning approach that benefits dyslexics and not the entry point of that learning. Most children will learn if given the opportunity and presented in their preferred learning style. Language is a vital part of helping those that have dyslexia… this is time consuming, but so worthwhile. We need to spend a few hours a day in direct face to face language sessions with our toddlers at the predicted milestone, or the minute they attempt to form early sounds/words. Any delays in hitting these milestones could point to possible presence of language impairment and/or dyslexia. 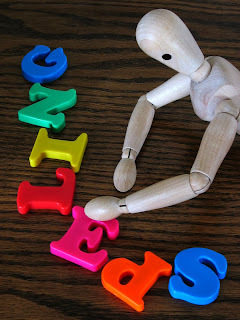 Further indications as they progress in reading/spelling/speech could be missing out letters… this can be because they are too difficult or the child is not hearing, or able, to make that particular sound, eg. ‘ bagetti’ instead of ‘spaghetti’, ‘fog’ instead of ‘frog’. As children progress they can overcome certain words through repetition and eventually many words will be stored in their long term memory; however, certain letter sounds may plague them for a very long time. You could find that as a result, they start throwing in random words during reading or in conversation. Phonological awareness is so important and by changing one letter we can bring in a new word like dog and fog!. It is really important that you spend time listening to your child read, preferably alongside them or behind them. When they get to certain words or the end of a paragraph, stop them and check their comprehension of certain words… this will help with sentence building and improve their conversation. This will also cut down on the use of random words being used. As children progress new challenges will naturally occur, like reading out loud in class and taking work down from the whiteboard. The early use of multi-sensory intervention will help this, as your children will have had a greater understanding of letters and letter sounds and this will allow them to build new words, or understand new words in conversation. Encourage the use of a dictionary/thesaurus at this point, as seeing the definition will help retention. The English language is by far one of the hardest languages to learn and would have one of the highest rates of dyslexia per capita. This starts to become more evident as children in Primary/infants move away from single syllable to multi syllable words and we introduce graphemes (one or more letters that make one sound). Many children spell how they hear or speak, so ‘should’ becomes ‘shud’ or ‘cough’ becomes ‘cof’ or ‘coff’. Much work will be needed in this area to move on and again, if we use a good multi-sensory intervention programme that shows these unique sounds of the grouped words, they will progress quite well. It is no harm to check their reading speed at certain points throughout the year and this will alert you to problems very quickly. Around 1st class/junior they should be reading on average 80-100 words, rising to 220-250 by the time they are starting 6th class/senior school. When they start senior school, keep an eye open for problems when a new subject is introduced, like a language or a technical subject like home economics, engineering or the sciences, as many words require a different technique. What about writing speed as they get older?... slow speed is quite often down to poor spelling or a weak short term memory. It’s important to introduce memory games and also for you to play alongside, these can be like the ‘BrainBox’ games… very subject specific. This will also improve their assignment writing skills. We are seeing fewer cases of people leaving school without being identified and those that are and go on to third level are picked up by the excellent tracking and support in third level. Many adults that left school at a similar time to myself, didn’t have the opportunities that modern teaching/learning resources or diagnosis have, and will struggle. It’s quite difficult for them to seek help and also denies them the chance to take up adult evening courses, etc. We find that they seek out centres like ours, 1: because there is anonymity and 2: they are amongst others who have struggled through their education and early adult life and have also become adept at substituting a difficult word with an easier one. Dyslexia also causes problems with organisation and planning, although many have excellent long term memories that they can use as a crutch and to get out of occasional tight spots. We have a great range of software and support and we also offer distance learning. So what is Sensory processing disorder or SPD? We all have varying degrees of tolerance to most things… hot and cold extremes, taste, sound, touch (tactile) clothing, and space to name a few. Almost everything we do involves using one or more of our senses… from tasting food, smelling the flowers, feeling the cold… the list is endless, however some of us have a much higher or lower tolerance than those that would take the middle ground. Have you ever been told that you have a thick skin (can stand the cold) or an asbestos throat (able to drink extremely hot drinks? Maybe you get in the shower after your partner and scald yourself, why? This is due to our various receptors being more or less responsive than others and is caused by a neurological variation, which by some is classified as a disorder. Those, like me, with this disorder have a faster or slower reaction to the various signals received by the brain from the sensory transmitters such as our ears, nose, tongue, limbs and on the surface of the skin and together we know this as multisensory integration. We have problems with our brain receiving these inputs and organising/processing them into rational reactions in a given time (rather like a 64gb processor compared to a 120gb in a computer, reaction time would differ) and therefore can fail to organise inputs coming from multiple sources, such as proprioception (limb and body positions) , vision, auditory system, tactile, olfactory (sense of smell), vestibular system (movement and orientation), interoception (internal stimuli, stomach etc. ), or taste - in order to adequately function. 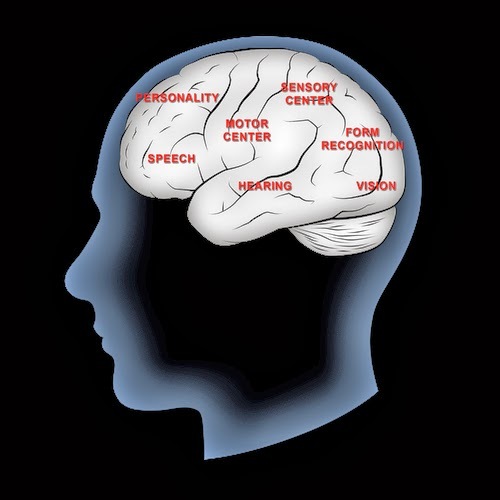 Different people experience a wide range of difficulties when processing inputs from some or all of their senses. For example, some people find wool fabrics itchy and hard to wear, while others don't. Some individuals might experience motion sickness or a sense of giddiness whilst being on a boat or a merry go round, these people will also have problems with car journeys. Again, this only affects a small number of people, many others are fine… fear can also cause the same feeling. However, Sensory Processing Disorder is characterised by significant problems to organise sensation coming from the body and the environment and is manifested by difficulties in the performance in one or more of the main areas of our daily existence and not just the fun side (like learning to ride a bike through balance, touching the ground and feeling the pedals through our feet)… it can affect our study, our relationships and our social functionality too. This in itself can lead us to over or under react on any given occasion, to the horror or bemusement of others, due to their lack of understanding. Sensory Modulation Disorder (SMD) refers to a variation of over or under response, as a result of anxiety, negativity or stubborn types of behaviour, or complexity of something presented to an individual and is processed by our central nervous system… eating hot / cold food, drinking a cold drink on a hot day… exposing ourselves to sensory overload in our highly complex central nervous system. Next, let’s look at one that is common in those like myself with dyspraxia (DCD) - Sensory-based motor disorder (SBMD) - This highlights motor output that is disrupted, partially as a result of incorrect processing of sensory information and has a significant affect with our postural control causing us to wobble or lose our balance trip and even fall with no apparent reason. Thirdly let’s look at sensory discrimination disorder (SDD ) - This is considered as inappropriate or incorrect processing of sensory information. For instance, this could be construed as day-dreaming due to lack of understanding or focus, picking up the wrong things being said to you and therefore over or under reacting, lack of clarity and organisation in most of the things we do and ultimately coming up short when taking on or learning new routines. So, what is needed? You have all heard the saying ‘different strokes for different folks’, that is it in a nutshell… we need to have a greater awareness and understanding of our differences and we need to cater for those differences in our day to day lives, be it at home, school or out and about. Being different is what makes our planet so interesting. I would have found going to nightclubs difficult due to noise and crowds, some may find eating at others houses problematic, due to lack of variation of cuisine (one dish on the menu). There are moves to correct this, or at least understand it, through research but at this point the information is very complex and makes little sense to many. However, it’s safe to say that we have receptors in all of us and some are highly active (sensitive) and some less active. Clothing, shoes and certain hygiene products (strong scented soaps, perfumes) this can affect lifestyles and how people live their normal day-to-day lives. Skin to skin contact and people sitting in what you consider to be your space. I used to hate going to stay with relatives as we were put two to a bed and I hated the sensation of skin contact. Noise intolerance which make affect a family outing to a firework display, racetrack or even going to a coffee shop. Have a look around next time the staff use the ice machine to make a frappuccino… have a look at the amount of people that pick up that increased noise level. Maybe you have motion sickness to the point you won’t travel unless it’s an emergency. Be funny about using other people’s clothing, shoes, etc. I for one hate light touches, and prefer a tight grip or hug… greater pressure applied! Feel seriously discomforted, sick or threatened by normal sounds, lights, movements, smells, tastes, or even inner sensations like a heartbeat. Some hate the smell of cigarettes, coffee and other pungent smells and can lead to people gagging or, at worst, vomiting. Diagnosis is very much based on questioning the information mentioned above and the assessor asks you a series of questions or gets you to fill out a tick box questionnaire. It is normally carried out by a healthcare professional…OT or Psychologist. It is important to get this diagnosed if you feel it is very extreme and affecting the life of the sufferer and of their immediate family. Some children and adults can even appear hyper as a result and it is very important to look closely at this, so they do not receive an incorrect diagnosis. Whilst others might only have a slight reaction to variations of sense, in the extreme it can take control of people’s lives and even affect their working day… for instance, a fireman that can’t tolerate having his face covered and be unable to wear breathing apparatus or someone highly susceptible to noise couldn’t work at a pop concert or a motor racing grand prix. Working in a cold room or a health and leisure club (sauna/steam room) if you dislike extremes of temperature, or working in a hairdressers or beauty parlour if you are sensitive or allergic to perfumes and hairsprays. The easiest way forward is to compile a list for yourself or for your children which will help you to plan and if necessary avoid activities or events that can trigger a reaction to your or their sensitivities. And remember we are all sensitive to something, no matter how big or small… tolerance and understanding are to very powerful tools. All my posts are written for guidance purposes only and professional advice should always be sought.